Reflecting on our recent trip to Paris and the increasingly topical issue of whether Paris is losing the edge to London. I would suggest neither has lost its edge indeed both are becoming even edgier and it’s now more of a situation where you can do both, in one trip. With the Eurostar train taking about two and half hours, arriving in the heart of both cities, St Pancras and Gard du Nord, it’s a no brainer to travel by rail rather than the slog from Heathrow or Charles de Gaul airports into the city centre. 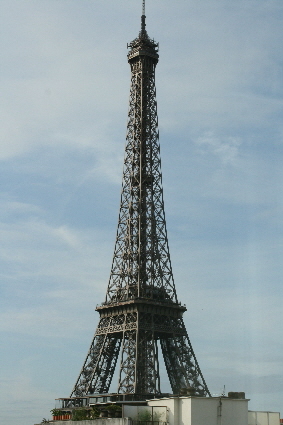 In fact when we arrived from Singapore, it took us as long to clear immigration/baggage and the taxi ride from Charles de Gaul to our hotel near the Eiffel Tower in the 16th arrondissement as the train journey London-Paris a few days later. I have lost count of how many times I’ve been to Paris but it’s clear in my mind hotels and accommodation in the city can be diabolical with rooms notoriously small and dysfunctional. Endemic overstating of facilities and room amenities is rampant and room rates equally extortionate. No doubt we have all got a Paris Hotel story to tell. I recall staying at one particular establishment, the Hotel de Cluny, that was dreadful and charging a rate only 30 percent below the Hotel de Crillon at the time (in French Francs, so a while ago), however the people we were travelling with insisted it was a great place to stay. Well, apart from nearly being arrested by a machinegun wielding Gendarme outside the front of the hotel, where you were most definitely not allowed to stop and unload bags or humans, the rooms were so small you could not physically walk around the sagging queen-sized bed, I kid you not. Actually, I had a degree of difficulty getting in and out of the shower, the door so close up to the toilet and wall there was insufficient swing room. Dropping the soap in the shower was not advisable. 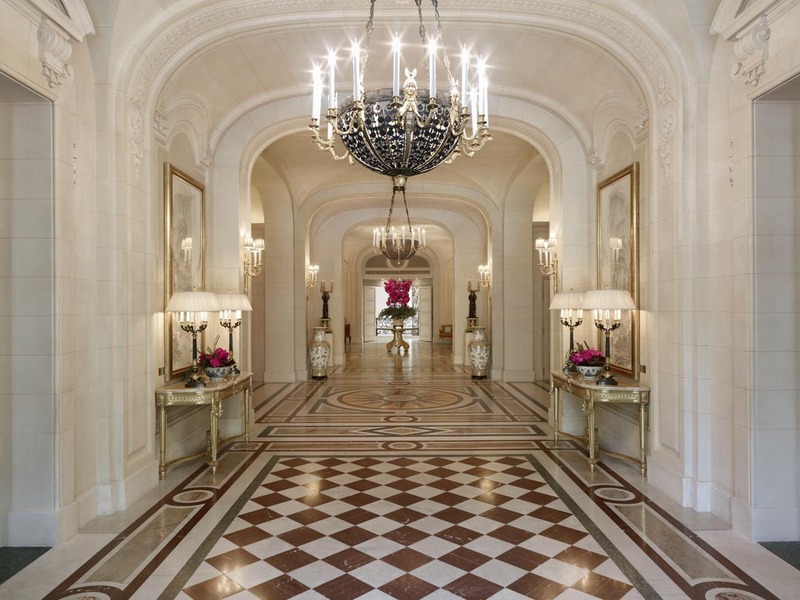 We used to stay at the Hotel de Crillon regularly, largely out of sentiment having proposed to my wife at the hotels Les Ambassadeurs restaurant (even mushier, on Valentine’s Day); however their room rate is out of our budget now. In fact no one can afford to stay there except government officials and diplomats, part of the reason for the sovereign debt crisis. The Hotel de Crillon was certainly grandiose and the rooms slightly more spacious however like all Paris hotels, had no view, just tiny French windows looking out to another building (specifically the droll looking US Embassy), the ledges invariably occupied by pigeons. 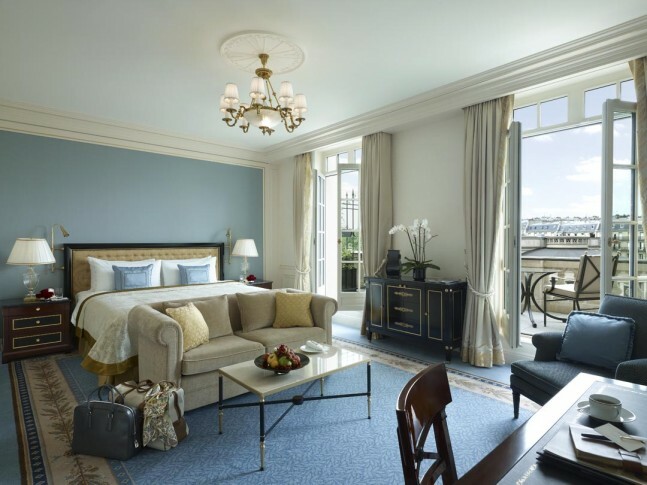 We have however, recently discovered the best Hotel with a view in Paris, the brand new Shangri-La, at 10 avenue d’Iéna, 16th arrondissement, with splendid views over the River Seine and Eiffel Tower, much to the delight of our 8 year-old daughter Hayley. Hayley is totally infatuated with the Eiffel Tower, so imagine her delight as we entered our Eiffel Premier Suite; there it was, perfectly framed in expansive full glass panelled windows with a panoramic backdrop of Paris. Now this is truly a ‘Room with a View’ and it gets even better at night with the Eiffel Tower putting on a spectacular light show on the hour, nothing short of magical for anyone, regardless of age. But wait, there’s more! It is only a leisurely 20 minute walk along River Seine, crossing over the walk bridge to Eiffel Tower, to which we lunched luxuriously at the Le Jules Verne Restaurant on the second viewing level… more on this in a separate article. 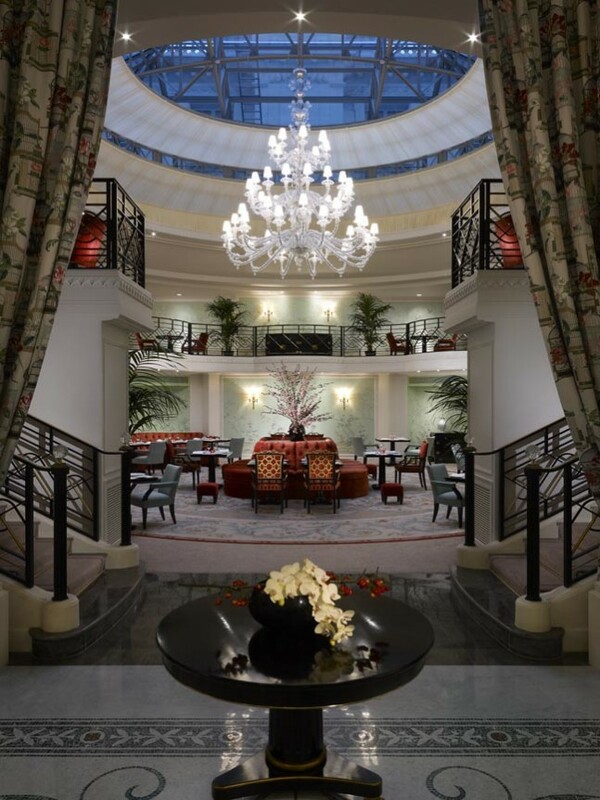 I have to say, our three night stay, and a further one night on return from burgundy at the Shangri-La is the best Parisian experience we have ever had and this has to be the classiest, most user-friendly luxury hotel in all Paris. The building was originally the home of Prince Roland Bonaparte – Napoleon Bonaparte’s grandnephew, built in 1896 and impeccably restored and redecorated in a very tasteful blend of ‘Empire’ and ‘luxury minimalist’, sufficiently ornate and yet pragmatically modern and functional with Asian influence and semblance of Shangri-La subtly integrated in the decor. You see more Asia/French fusion decor in the rooms with a blend of French marquetry and Chinese lacquered veneer, with strong contrasts of rich gold’s, warm natural woods and regal colours against resplendent Silk Road Asian fabrics and embroidery, all tastefully done and with impeccable detail. I would suggest the bathrooms here are unparalleled, by Paris standards, both in size and functionality; modern, lots of natural light, separate toilet, and wait for it, a shower that really works and actually rejuvenating – as it should but invariably a pathetic trickle in most Paris hotels. The beds are large and luxurious, two full doubles joined together by the looks and with superb bed linen and huge, ultra-comfortable pillows. The sort of bed you wished you had a home. Above all this wonderful luxury, what I really like about this hotel is its discreetness and extraordinarily friendly and adept service. The entrance to the building and lobby itself is completely understated, or in fact hidden by its unpretentious garden walls and driveway, and there’s a sense of boutique hotel comfort and assiduity from the porter, to the concierge and receptionist when greeted on arrival. The service standard is nothing short of impeccable and yet beyond any formal training and polished actions, with a palpable feeling that the staff genuinely want to serve you to the very best of their abilities and make you stay as enjoyable as possible. And this carries from the super-attentive housekeeping right through to the General Manager, Alain Borgers, who likes to engage all guests in intense conversation. I know you’re probably questioning all this; friendly, efficient, non-abrasive staff, in Paris? But I speak the truth, and a special mention for the concierge, Tony Le Goff and his hyper-dedicated team, whom we put through the hoops on many occasions and not only did they deliver every time, they over-delivered with a smile and sense of accomplishment. 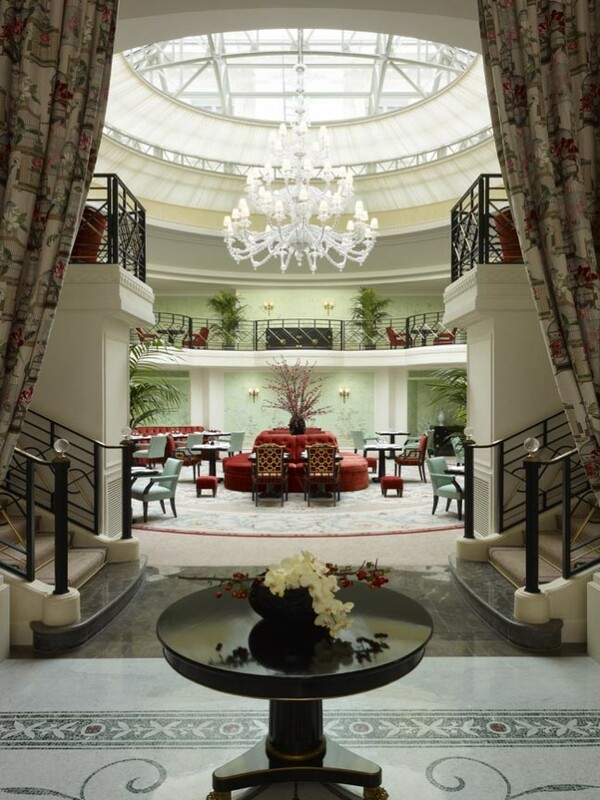 We did not dine much at the hotel, apart from breakfast and a casual bite in their La Bauhinia restaurant lounge, a China Club come Botanical Garden Conservatory with glassed ceiling and a space that is worth eating in for the ambience alone. Actually, I had the best modern version Pad Thai I have ever eaten, and the most expensive. Let’s be clear though, this is at the luxury end of Paris hotels and I am not even going to mention the room rate, as that would be crass, besides if you are used to staying in five-star luxury accommodation in Europe, you will know the speed. With all this lavish praise, am aiming for an upgrade when I go back? Absolutely! Make sure you drop my name when you make your reservation and how you read this brilliant review. My daughter wants to stay in the Eiffel Duplex Suite again, yes that’s a two-story room that we stayed only one night on the way back, and she hasn’t stopped talking about it since. Actually, I am hoping for the Eiffel Duplex Terrace Suite. And yes, I pilfered the BVLGARI White tea toiletry’s; hard to resist! On a final note, and I guess you have already read between the lines we will be returning to the Shangri-La Paris, but seriously, this is arguably the best hotel experience you will have in the world’s most evocative city, and there’s simply no point in being puritanical in Paris; you’re in the wrong town.